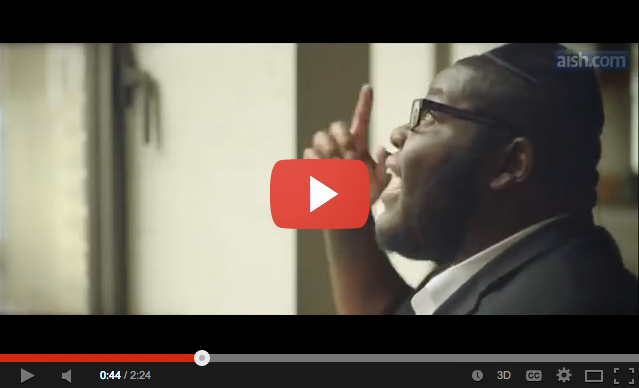 To celebrate the holiday spirit, rapper Nissim released a new video in collaboration with Jewish website Aish.com. As he raps over beautifully-dark string parts, Nissim, formerly known as D.Black, describes the drugs and violence of the Seattle streets where he grew up. While the video is set in an abandoned building, the MC alludes to his mother’s tragic drug overdose death. Still, the video’s message feels uplifting: Nissim’s spiritual journey led him to Orthodox Judaism, which allowed him to overcome the circumstances of his difficult upbringing. As D.Black, Nissim produced material for Young Buck and The Game. Nissim’s recently-released, self-titled album is his first full-length project since his conversion to Judaism.